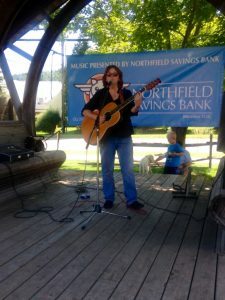 For Coffeehouses, Festivals and House Concerts Linda Plays a complimentary blend of original and cover tunes. Cover tunes by great artists such as Joni Mitchell, Carole King, Laura Nyro, Judy Collins, Joan Baez, Neil Young, Cat Stevens, Van Morrison, Melanie, Jackson Browne, Bonnie Raitt, Eagles…and..lots more! For Assisted Living and Retirement Communities Linda Plays Old Standards Featuring Duke Ellington, Johnny Mercer, Patti Page, Gayle Garnett, Kingston Trio, Carlos Jobim, Rogers and Hammerstein, Ella Fitzgerald and many more! And for those younger seniors, Judy Collins, Carole King, Joan Baez, Cat Stevens, etc.